Government-backed loans such as FHA loans, USDA loans, and VA loans are limited to certain amounts depending on the program. Buyers interested in homes with a purchase price that exceeds these limits will need to look to alternatives such as the Jumbo loan. Jumbo loans are a great option for borrowers looking to purchase higher-priced homes throughout Maryland. Bancstar Mortgage is a leading provider of Mortgage Loans in Bethesda, Silver spring, Arlington, Baltimore, and the whole state of Maryland! Contact Bancstar Mortgage todat at (240) 664-6243 for more information or how to get pre-qulified! Mortgage loans that are eligible for purchase by Freddie Mae or Fannie Mac are called conforming loans. To be eligible for purchase, these loans need to meet certain criteria. Currently the maximum conforming loan limit is $424,100 although this can reach $636,150 in higher-cost areas. 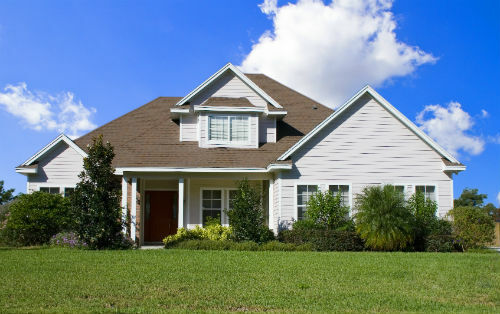 Jumbo loans are non-conforming conventional loans that exceed the loan limits for an area. Since these loans are not eligible for purchase by Fannie Mae and Freddie Mac, they can be a bit riskier for lenders. This means that lending criteria and credit requirements can be more stringent with a jumbo loan. Lenders set their set their own criteria for jumbo loans since they do not need to adhere to the same Fannie Mae and Freddie Mac guidelines that conforming loans do. While every lender can have different requirements, there are common industry standards that most follow. Credit Score – A credit score of around 700 is generally required for jumbo loans. Lenders may offer flexibility in this area depending on factors such as income and down payment availability. Down payment – Traditionally, a 20% down payment is needed for a jumbo loan. A 20% down payment also allows borrowers to avoid private mortgage insurance (PMI). Smaller down payment requirements are becoming more common for borrowers with better than average credit and income. PMI may be required if a lower down payment is desired. Debt-to-Income Ratio and Income – A debt-to-income ratio of 43 percent or less is the industry standard. Documentation such as W2 forms and recent paystubs will be needed at the time of application to verify income. Property – The property being purchased will need to support the purchase price and the mortgage being applied for. An appraisal will be done to very this. Documentation outlining liquid assets, non-liquid assets, and any other loans will be needed as well so be prepared to provide this. This type of information supports your ability to repay the loan being applied for. Preparing this information ahead of time can make the application process go as smoothly as missing information can cause delays. Borrowers interested in purchasing a luxury home, investment property, or even a second home in Bethesda may find the Jumbo loan to be the perfect loan option. Bancstar Mortgage is a leading provider of Mortgage Loans in Bethesda, Silver spring, Arlington, Baltimore, and the whole state of Maryland! Contact Bancstar Mortgage todat at (240) 664-6243 for more information or how to get pre-qulified!